Little Willie John. Photo courtesy of Flickr. 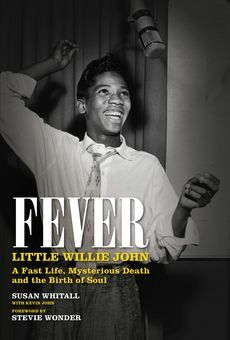 Among the numerous bios recently written about (and by) music artists, there is one that stands out from the rest: “Fever-Little Willie John: a Fast Life, Mysterious Death and the Birth of Soul,” written by Susan Whitall (in collaboration with Kevin John). This extraordinary bio chronicles the rise and fall of the charismatic, iconic soul singer. 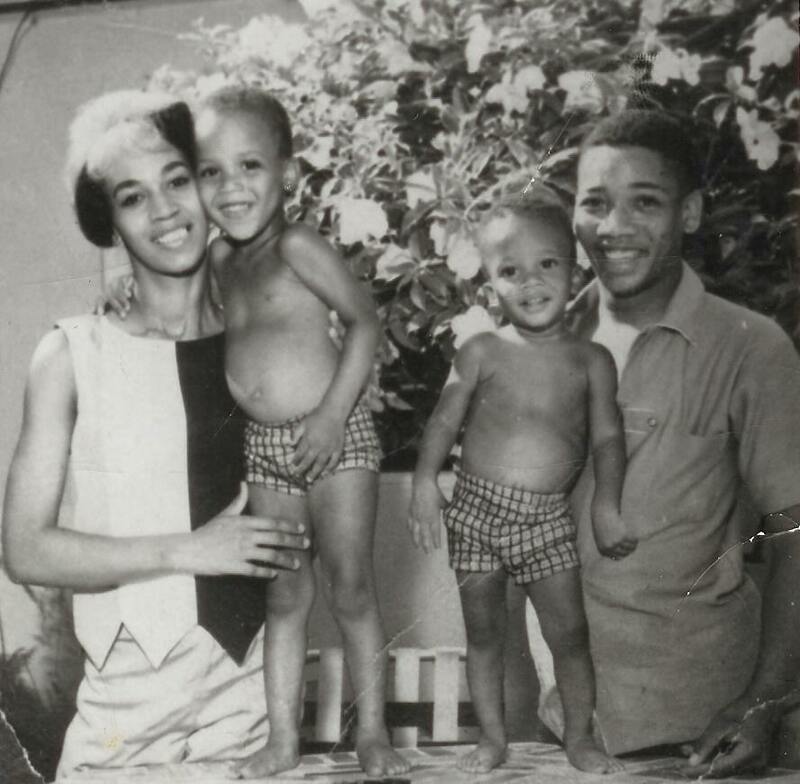 Adorable Kevin (left) and Keith John, as small children, posing with their parents when the family lived in Miami, Florida in the early 1960s. Photo courtesy of Kevin John. Kevin states that this intimate, emotional bio has taken approximately six years to complete, and that Susan Whitall, was the perfect choice as author. One need only read but a few chapters from this fascinating book to agree with Kevin John’s assessment. Kevin John: “Years ago, Susan wrote a story about my dad in the paper, and I was interested, because here’s a person writing something about my dad, and people had forgotten about him. I called her to thank her for the article that she’d written. I then met her some years ago at the Rock and Roll Hall of Fame. We were visiting there and she happened to be there that weekend, and the Funk Brothers were there. So somebody introduced us and I asked her-when I found out who she was and I made the connection-‘What do you think about writing a story about my father’s life and his music?’ She was ecstatic! The jacket cover to the bio Fever-Little Willie John:a Fast Life, Mysterious Death and the Birth of Soul. Photo courtesy of Kevin John. Book description: “Little Willie John lived for a fleeting 30 years, but his dynamic and daring sound left an indelible mark on the history of music. His deep blues, rollicking rock ‘n’ roll and swinging ballads inspired a generation of musicians, forming the basis for what we now know as soul music. Born in Arkansas in 1937, William Edward John found his voice in the church halls, rec centers and nightclubs of Detroit, a fertile proving ground that produced the likes of Levi Stubbs and the Four Tops, Stevie Wonder, Aretha Franklin, Diana Ross and the Supremes, Smokey Robinson and Hank Ballard and the Midnighters. 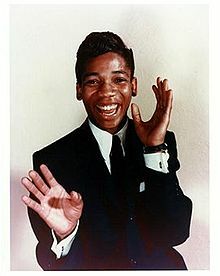 One voice rose above the rest in those formative years of the 1950s, and Little Willie John went on to have 15 hit singles in the American rhythm & blues chart, with considerable cross-over success in pop. Some of his songs might be best known by their cover versions (“Fever” by Peggy Lee, “Need Your Love So Bad” by Fleetwood Mac and “Leave My Kitten Alone” by The Beatles) but Little Willie John’s original recording of these and other songs are widely considered to be definitive, and it is this sound that is credited with ushering in a new age in American music as the 1950s turned into the 60s and rock ‘n’ roll took its place in popular culture. The soaring heights of Little Willie John’s career are matched only by the tragic events of his death, cutting short a life so full of promise. Charged with a violent crime in the late 1960s, an abbreviated trial saw Willie convicted and incarcerated in Walla Walla Washington, where he died under mysterious circumstances in 1968. This entry was posted in Books, Interviews, Music and tagged Kevin John, Little Willie John, Susan Whitall. Bookmark the permalink. I loved reading this book. Like so many others, I had no idea of the impact that Little Willie John had on the music industry and how so many music icons had so much respect for his work. I’m grateful to the John brothers, as well as their mother, for bringing this story to the forefront! Me too, Karen! This is easily one of THE BEST bios I have read in ages! Thank you, Karen Carty for writing your review. You and John have really been supportive of our project and our family, even attending multiple book events! I don’t know Keith, but I do know his brother Kevin. This book gave me a window into the world of Little Willie John. Thank you Shirley Pena for giving this great read exposure it well deserves! Cathy, this is seriously a WONDERFUL bio, an absolute must-read! 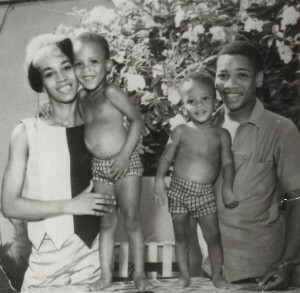 This morning I updated this review with a lovely photo that Kevin John generously has shared: a photo of him and his brother Keith as adorable small children, posing with their proud parents when the family was living in Miami, Florida! Please check it out!